No Max File SizeFTP Hosting, File Sharing, Share Files with Anyone Anytime! CyberLynk’s FTP hosting does not have a file size limit. Our FTP Hosting servers will accept any size file and will never block a file for being too large. 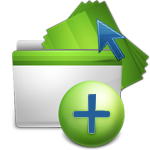 The most efficient method for uploading and downloading large files is using an FTP client. An FTP client will ensure the file is uploaded and downloaded as fast as your Internet connection will allow.